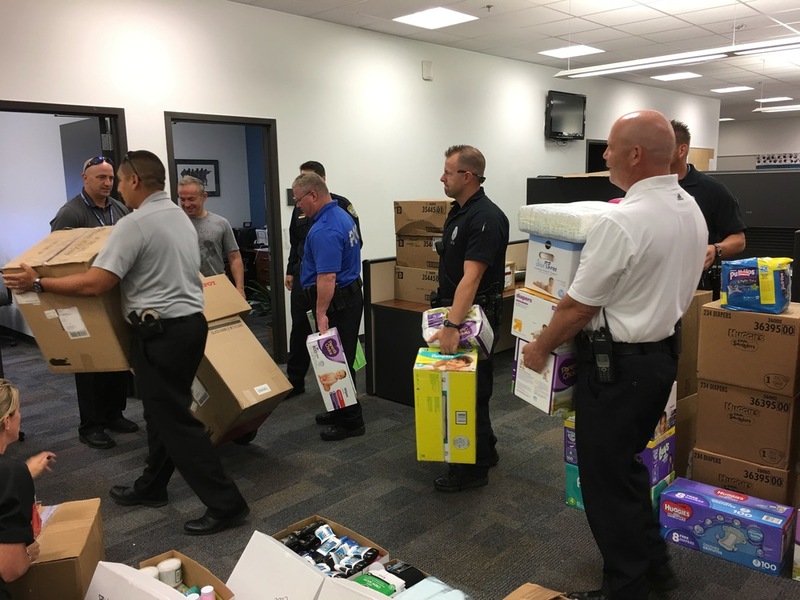 (August 19, 2016)- The week-long donation drive to assist Baton Rouge Police Officers who are recovering from historic flooding surpassed expectations. Bay late Friday afternoon, Donations of toiletries, clothing, diapers, and more totaled over a ton, throwing a monkey wrench into the plan...shipping. With so much to ship, it quickly became cost prohibitive. 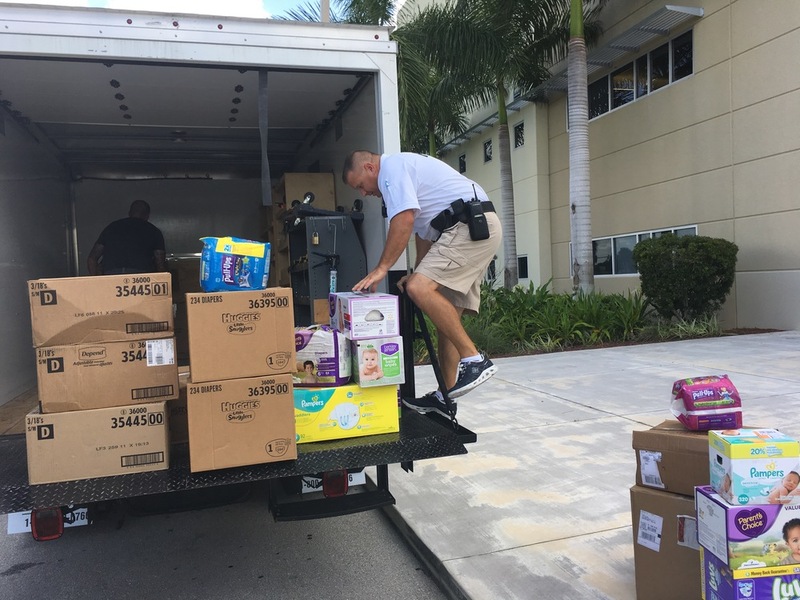 Captain Sizemore of the Cape Coral Police Department Patrol Bureau reached out to the Southwest Florida Police Chiefs Association, Police Benevolent Association, and the Fraternal Order of Police Lodge 33 for help. "We want to thank everyone for making this impromptu drive a success. We expected a few boxes and a trip to the store to ship it. 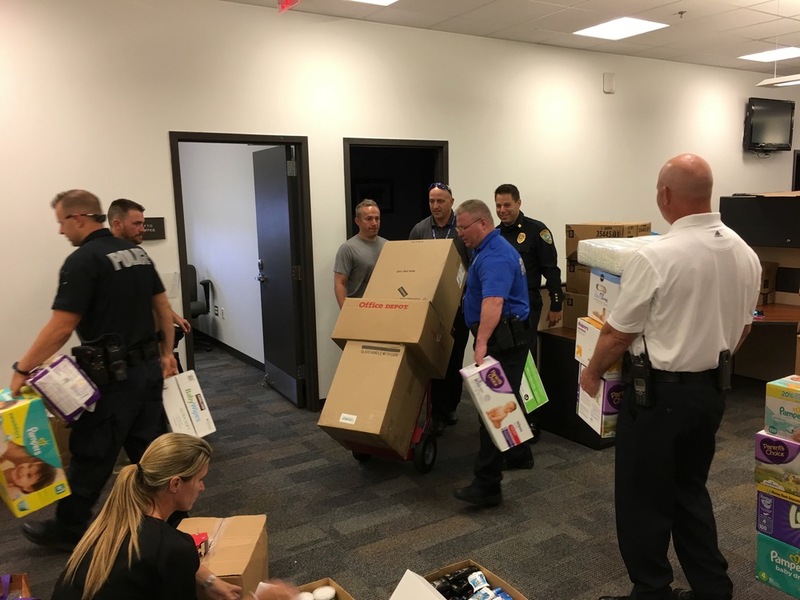 This community reached out in a meaningful way that will enable the men and women of the Baton Rouge PD to continue doing the hard, grueling work of disaster recovery while suffering devastating losses themselves. "- Det. Sergeant Dana Coston, Cape Coral Police Department Public Affairs Officer.